Corra is excited to announce that 7 For All Mankind has been selected as a finalist for the 2019 Magento Imagine Awards in the category of Best Global Commerce Expansion. The Excellence Awards celebrate merchants who have achieved greatness in leadership, innovation, teamwork, and business impact. Two of Corra’s clients were selected as finalists for last year’s Excellence Awards including Sigma Beauty for Best Web Experience and Sugarfina for Most Innovative Customer Experience. In 2018, Corra was also named Magento Regional Commercial Partner of the Year, North Americas. We are looking forward to celebrating 7 For All Mankind being selected as a finalist at Imagine this year! Delta Galil Industries is among the largest apparel makers in the world. In 2016, it acquired Splendid and 7 For All Mankind, a global denim brand with more than 100 retail locations. They turned to Corra to build enhanced storefronts to drive growth and upgrade their overall experience to include a better checkout flow, updated navigation, and a new visual identity enriched by editorial features and shoppable product grids. The two US sites (7ForAllMankind.com and Splendid.com) are hosted on the same Magento instance and serve as a foundation to maximize creative and development efforts. Unique design elements of the sites include the Denim Fit Guide — an experience that highlights the attributes of 7 For All Mankind jeans and empowers shoppers to find the perfect style. Another element that stands out is the mega menu. With its tabbed layout, the mega menu provides a shortcut to the entire product offering while weaving inspiration into key sections, like the homepage and product detail pages. 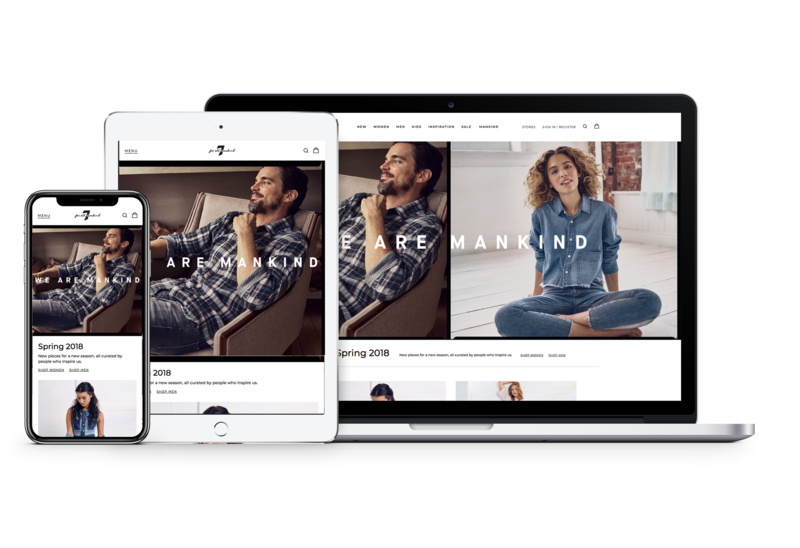 After a successful launch of their US sites, 7 For All Mankind upgraded seven international sites to Magento Commerce Cloud 2.2.5. Corra formulated a strategy that would allow them to repurpose the design, facilitate the operations of local teams, tailor promotions, and leverage the Magento data migration tool. Overall, 7 For All Mankind supports six languages, three currencies, and a return strategy altered for each market. With Magento, 7 For All Mankind was able to streamline operations and set a foundation that will support their scalability needs for the years to come. Corra and 7 For All Mankind created a cohesive global experience that ensures a consistent look and feel across markets while enabling teams to tailor content and promotions to local audiences. After the launch of the US sites, 7 For All Mankind saw a 52% increase in conversion rate and a 49% increase in revenue compared to the previous year. 7 For All Mankind is continuing to track their success through Corra’s TotalCare program. The brand is continuously testing new experiences and implementing enhancements to optimize their site experience. 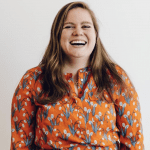 Meet with Corra at Imagine! With over 15 years of commerce expertise and 150+ seamless experiences launched on Magento, Corra partners with leading lifestyle brands to drive revenue and growth. Stop by booth #313 at Imagine to meet with the Corra team to learn how partnering with Corra can elevate your digital experiences. Our team will be handing out free Conference Survival Kits packed with the essentials to get you through the week and be sure to refuel at the booth on sweets from Corra’s client Sugarfina. We can’t wait to meet with all of you at Imagine this year! Keep an eye out for our announcement of clients speaking at Imagine this year!